Ring ... ring … ring … ring … ring …Goodbye. Chalk up another lost client to your front desk. How seriously have you invested time and money into your intake department? Before you answer that, let’s step back a minute and consider the story of the young fisherboy. This angler grew up on the river with his father learning the art and craft of fishing. His dad would catch the fish and let his boy zealously reel them in, one by one. Eventually, the boy accepted the process of taking the rod from his father each time he had one hooked. Eventually, one day his father stopped going fishing with him and depended on his son to bring home dinner. The boy soon realized that he could no longer rely on his old process of depending on his father’s ability to set the hook. He had to learn to set the hook himself. I implore you, teach your staff how to set the hook. Stop treating your website leads like they’re referrals. There just aren’t enough of them. If you have accepted those two facts, you have likely considered Internet marketing for your law firm. The process of riding a bull is not the same process as riding a bike. Each requires its own unique techniques and training (although I can’t personally say I’ve ridden a bull). With Internet marketing, you should avoid applying your referral processes and mindset when handling your lead intake. Otherwise you risk damaging your law firm’s bottom line. A person who calls you after finding your website on the Internet, with no prior knowledge of your firm, has no personal loyalty or ties to you or your great firm. In fact, they have no reason to hire you other than what is said in those first few minutes when they call in. If you don’t have someone willing to greet them with exceptional service and a sales mentality, you will lose out to a law firm that does. Referral: A referred client will leave you a voicemail and wait for your return call. Internet: An internet lead will move on. Referral: A referred client will punch buttons through a phone tree in an effort to talk to you. Internet: An internet lead will hang up and call someone they can talk to immediately. Internet: An internet lead assumes your intake “professional” is a reflection of your entire firm and representation ability. They move on. I strongly urge you to stop treating your website leads like they’re referrals. You are costing your firm tens of thousands in case fees and are wasting significant marketing dollars. Consider applying a portion of your advertising toward your intake team. Hire rock stars and offer ongoing training and coaching. Your intake process is one of your most important functions to growing your case load on the Internet. Tanner Jones serves as the Marketing Director for Consultwebs.com, the premier provider of innovative online legal marketing to ethical U.S. law firms seeking growth and profit. Consultwebs fosters professional, long-term relationships built on trust, integrity, high quality and results. Often the first contact clients have with Consultwebs, Tanner helps law firms develop their marketing strategies, including search marketing campaigns, responsive website design, social media and pay-per-click advertising. Tanner has spoken and presented at legal marketing seminars throughout the country including the PILMMA and M&L Legal Marketing conferences. He has been featured in Lawyers Weekly and Attorney at Law publications, and contributes frequently to LawWebMarketing. com, LawPracticeAdvisor.com, LawMarketing.com and NatLawReview.com. About the Author: Tanner Jones serves as the Marketing Director for Consultwebs.com, the premier provider of innovative online legal marketing to ethical U.S. law firms seeking growth and profit. Consultwebs fosters professional, long-term relationships built on trust, integrity, high quality and results. Often the first contact clients have with Consultwebs, Tanner helps law firms develop their marketing strategies, including search marketing campaigns, responsive website design, social media and pay-per-click advertising. Tanner has spoken and presented at legal marketing seminars throughout the country including the PILMMA and M&L Legal Marketing conferences. He has been featured in Lawyers Weekly and Attorney at Law publications, and contributes frequently to LawWebMarketing. 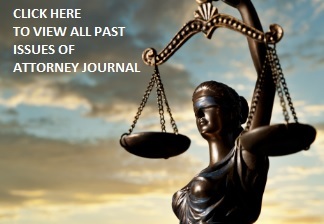 com, LawPracticeAdvisor.com, LawMarketing.com and NatLawReview.com.